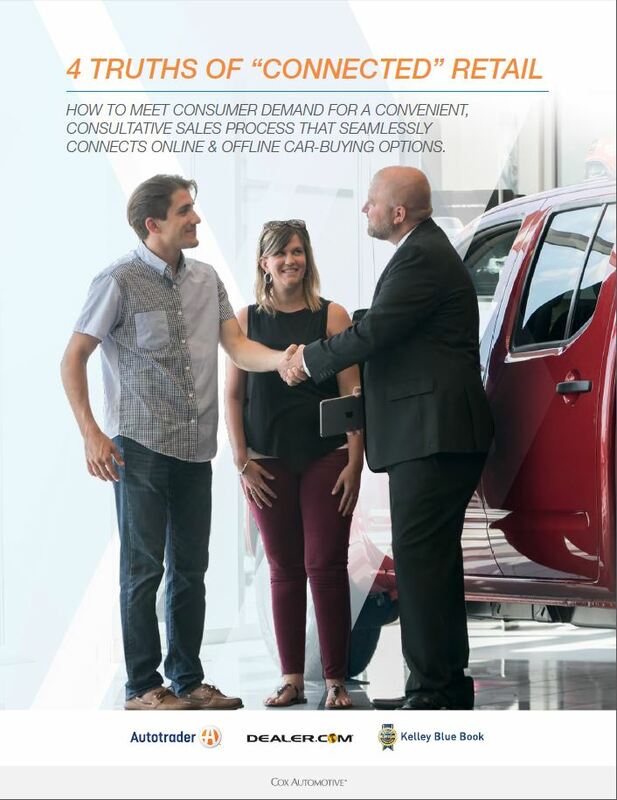 4 Truths of Digital Retailing – Cox Automotive Inc.
Consumers want to start the car-buying process online and finish it at the dealership. Dealers should enable consumers to take as many steps online as they like. Provide car-buyers with digital retailing tools for conducting research, securing financing and structuring the deal, both online away from the dealership and in-store. Ensure that dealership staff are trained as “product specialists” who act as consultants and listen to consumer needs in a low-pressure environment.